Oklahoma, nicknamed the Sooner State, has a total population of 3,930,864. Of the nearly 4 million people that call Oklahoma home, more than 620,000 (16.5%) live below the poverty line of $24,300 for a family of four. While the state’s unemployment rate of 3.9% (as of December 2017) is equal to the national unemployment rate, many Oklahomans are still struggling every day to provide for themselves and their families. As the economy changes and job security becomes harder and harder to come by, it can be difficult for everyday Oklahomans to solve financial issues when they pop up unexpectedly. While someone with good credit and a robust savings account can easily obtain a loan to cover a medical emergency or car accident, when someone with bad credit or no credit finds themselves in a financial pickle, they don’t have a lot of options. Payday loans, title loans, and no credit check loans might seem like the light at the end of a tunnel for credit-poor Oklahomans, but the truth is that taking one out could put you in serious financial danger. By understanding how payday loans and title loans work in Oklahoma, you can avoid being trapped in an endless cycle of debt. We hope this guide will help you make the right choices in times of financial need. Payday loans are short-term cash loans, offered in exchange for the borrower writing a check dated for some time in the near future. The check, which is often dated for the borrower’s next pay period, will be made out for the total amount of the loan principal, plus the finance charge. You can either pay back your loan in full by the date of the check, or the lender will cash it on that date. Not enough money in your account for the check to go through? Hope you like overdraft fees! While some states allow you to rollover your loan or take out another loan to cover the balance of your original loan, Oklahoma does not. Unlike with a car title loan (which we’ll discuss later), when you take out a payday loan, you don’t need to put down any assets as collateral. That’s a good thing, because it means nothing you own can be legally seized in the event you can’t pay back your loan. However, your lender will continue to charge you bucket-loads of interest, and this is where payday lenders can get seriously sinister. If a borrower can’t afford to pay their loan back by the due date, it still continues to accrue interest – interest which can build up until the loan is so expensive, it becomes downright impossible to pay back. As a state, Oklahoma has more than 2.5 times the number of payday loan companies (353) as it does the number of McDonald’s restaurants (155). That’s 11.51 payday lenders per 100,000 people. With that number, it places Oklahoma at number 21 compared to the other states. At a state level, loan agreements are governed by the Oklahoma Deferred Deposit Lending Act, which dictates the parameters of loans that can be legally given in Oklahoma. 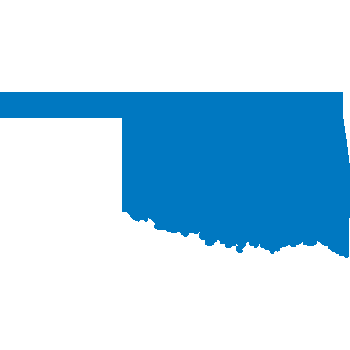 The Act requires use of a statewide database approved by the Oklahoma Department of Consumer Credit to check eligibility for all deferred deposit transactions conducted in the state. This database is a part of the state’s mission to “protect buyers, leasees and borrowers against unfair practices.” The idea behind it is that lenders register through the state, and this allows the state to more effectively monitor and regulate the industry. It’s clear from Oklahoma’s past inaction on payday lending that the state isn’t too concerned with regulating payday lenders. Still, the Oklahoma Deferred Deposit Lending Act does set some parameters around payday lending in the state. These regulations around loans work to help the people of Oklahoma stay safe from taking out loans that they can’t afford. But that doesn’t put an end to the 390% interest rates that payday lenders are charging Oklahoma residents. 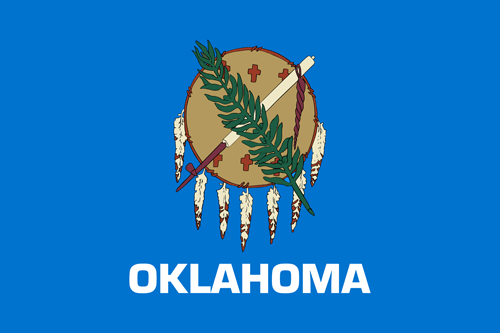 Oklahoma payday loans can be taken for a period of 12 to 31 days with finance charges. Additionally, there is no rollover protection in Oklahoma. This means that the loan period is firm, and the borrower must pay back their loan in time…or face penalties. That sounds bad, however, it is generally a good thing, as it helps to prevent borrowers from taking out bigger and bigger loans that eventually become unmanageable. People who rollover their loans get charged finance fees for each rollover, and in states where this is allowed, it can go on until the borrower owes more in fees than they do in actual principal. In Oklahoma, there is also a cooling off period of two business day after five consecutive loans. This means that if you take out five loans in a row, you’ll have to wait two days before you take out another one. The real danger of taking out a payday loan is that there is such a short period of time to pay back the loan or face penalties that can be very expensive to pay back. Many consumer-focused organizations, including the Southern Poverty Law Center, believe that payday loans are used by lenders to trap borrowers into debt. If you are going to take out a payday loan, it is important to understand the risks associated with taking out this short-term loan at such a high rate. Maximum Finance Rate and Fees:$15 per $100 on loans between $100 and $300. An additional $10 fee per $100 is placed on loans between $301 and $500. Repayment Plan:Yes, after third consecutive loan. Repayable in four installments. A title loan is a loan in which some sort of asset, usually a car or other kind of vehicle, is taken as collateral for the loan. Car title loans are the most common form of title loans. For a car title loan, the borrower has to own their car outright and sign the title over to an auto leasing company. If the borrowers fails to pay back the loan, the company can keep the car as collateral. Title loans are not typically reliant on a customer’s credit score and usually provide consumers with an avenue to quick approval for a loan as little as $100. The state of Oklahoma does not legally allow title loans, but the neighboring states of Texas, Missouri, and New Mexico do allow this type of loan (while Arkansas, Kansas, and Colorado do not). However, it is usually very difficult to get a title loan in a different state since the title has to be registered in that state. For example, if you wanted to take out a title loan in Texas, the title for your car would have to be registered there and, thus, you would have to prove that you reside there. A study out of Texas shows that the average Texan is about $40,000 in debt, and a large amount of that debt is from “easy money” loans such as title loans. In 2013, residents of Texas paid as much as $360 million in fees to auto title businesses as a result of these loans. Missouri is also struggling with the consequences of allowing title lending, as borrowers who can’t escape their debt fall into financial ruin as a result of these short-term loans. In an attempt to prevent borrowers from being trapped in a cycle of debt, Missouri legislators changed the state’s title loan law to limit how many times lenders can roll borrowers’ debts into new, even more expensive loans. However, title lenders have skirted those restrictions by reclassifying title loans as a kind of loan product that doesn’t fall under the state’s regulatory powers. Title loans are especially attractive to people who have bad credit, no credit, or are in need of quick money, but these loans are very risky. According to the Federal Trade Commission (FTC), the typical annual percentage rate (APR) on a title loan is often in the triple-digits, and that can cause a situation where borrowers can’t catch up with payments or even pay down the principal amount. When it comes to car title loans, 20% of those who take out a short-term, single-payment car title loans will have their cars repossessed, according to a report from the Consumer Financial Protection Bureau (CFPB). Additionally, the CFPB asserts that title loans severely impact borrowers with lower incomes. Almost 12% of title loan borrowers make less than $15,000 a year, while about 18% make under $25,000. The average loan amount is for $950, and borrowers who take out that amount end up paying, on average, around $2,140 when all is said and done. That extra grand comes from interest and all the additional fees incurred when a loan is rolled over. A predatory loan is one that benefits the lender at the expense of the borrower. Oftentimes, this is done by having the borrower take out a loan that the lender knows the borrower can’t pay back. Then, once the borrower can’t pay back the loan, the lender makes money off of very high interest and fees. As far as regulation goes, there have been a handful of cases cracking down on payday lenders in the Sooner State. In one case, revived in 2017, the court looked at the actions of lenders in Oklahoma that were being accused of harassing their borrowers by phone. There has also been a national push to stop payday lending. The Consumer Financial Protection Bureau (CFPB) finalized a rule in October 2017 to try and stop payday debt traps by requiring lenders to determine whether borrowers have the ability to pay off their loans before they would be legally allowed to lend to them. That governmental group found that payday lending is predatory and that borrowers often became trapped by the rates and fees associated with these loans. If you or someone you know is the victim of a predatory lender, you can and should report this to the proper authorities. By speaking up, you can help your family, neighbors, and friends stay clear of predatory lenders and bad situations in the future. Additionally, you can reach out to the Better Business Bureau of Central Oklahoma at (405) 239-6081 or the Oklahoma Attorney General at (405) 521-3921. As a borrower, it is important to know your rights and the terms of your loans, especially in Oklahoma. In order to fight against predatory loans, and to be able to identify incorrect practices, it is important to do your homework and if it seems incorrect, reach out. As more people report predatory practices, legislation and protection in Oklahoma will only continue to improve. While the Deferred Deposit Lending Act – which places restrictions on the severity of the loans that can be taken out – is in place, Oklahoma still has the highest rate of payday loan borrowing in the nation. Nationwide, 5.5% of adults have used a payday loan in the last 5 years, according to Pew Charitable Trusts. Oklahoma has over twice that amount — 13% — which is the highest number in the U.S. Although the state doesn’t allow title loans — and seemingly is working to ensure that payday loans are properly tracked — it doesn’t seem like the system is curtailing the cycle of lending. “QuickFacts.” U.S. Census Bureau QuickFacts: Oklahoma, www.census.gov/quickfacts/OK. “Oklahoma Economy at a Glance.” U.S. Bureau of Labor Statistics, U.S. Bureau of Labor Statistics, www.bls.gov/eag/eag.ok.htm. “Oklahoma State Debt.” Ballotpedia, ballotpedia.org/Oklahoma_state_debt. Payday Lenders vs. McDonald’s, www.csun.edu/~sg4002/research/mcdonalds_by_state.htm. “FAQs.” FAQs | Resources | Texas Fair Lending Alliance, www.texasfairlending.org/resources/faqs/. “Oklahoma Deferred Deposit Lending Act.” Ok.gov, www.ok.gov/okdocc/documents/1.%20Oklahoma%20Deferred%20Deposit%20Lending%20Act.pdf. State of Oklahoma Deferred Deposit Transaction System, www.okddl.com/AboutUs.aspx. “Payday Lending State Statues.” National Conference of State Legislatures, http://www.ncsl.org/research/financial-services-and-commerce/payday-lending-state-statutes.aspx. “Oklahoma State Information.” PayDay Loan Consumer Information, http://www.paydayloaninfo.org/state-information/44. Deferred Deposit Lending in the State of Oklahoma. https://www.ok.gov/okdocc/documents/PaydayLendingBorrowersRights.pdf. “Easy Money, Impossible Debt: How Predatory Lending Traps Alabama’s Poor.” Southern Poverty Law Center, www.splcenter.org/20130227/easy-money-impossible-debt-how-predatory-lending-traps-alabama%E2%80%99s-poor. Staff, Investopedia. “Title Loan.” Investopedia, 20 Jan. 2009, www.investopedia.com/terms/t/titleloan.asp. Rotter, Kimberly. “States That Allow Car Title Loans.” Investopedia, 7 Nov. 2014, www.investopedia.com/articles/personal-finance/110714/states-allow-car-title-loans.asp. Yamil Berard. “The Debt Trap: Texans Taken for a Ride by Auto-Title Loans.” Star-Telegram, Fort Worth Star-Telegram, www.star-telegram.com/news/local/community/fort-worth/article10258943.html. Matthew Hathaway. “Missouri Lenders Find Ways to Avoid Title-Loan Regulations.” Stltoday.com, 1 Aug. 2010, www.stltoday.com/business/missouri-lenders-find-ways-to-avoid-title-loan-regulations/article_bb9ee593-ca73-5a62-aa1a-115824889903.html. “Why Car Title Loans Are Illegal in Some States – Should They Be Illegal in All of Them?”DriveSafely.net, www.drive-safely.net/why-car-title-loans-are-illegal-in-some-states/. Aubin, Dena. “10th Circuit Revives Lawsuit against Oklahoma Tribal Lender.” Reuters, Thomson Reuters, 2 June 2017, www.reuters.com/article/payday-appeal/10th-circuit-revives-lawsuit-against-oklahoma-tribal-lender-idUSL1N1IZ1N9. Cowley, Stacy. “Payday Lending Faces Tough New Restrictions by Consumer Agency.” The New York Times, The New York Times, 5 Oct. 2017, www.nytimes.com/2017/10/05/business/payday-loans-cfpb.html.